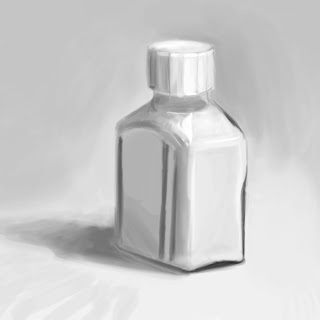 My speedpaint for the day is a bottle of Winsor Newton masking fluid that was on my desk. In other news, I've been working on my Walk and Run assignment all day. Lady Amplebottom runs like Olive Oyl. And my dad broke his clavicle. Playing soccer. Surprise.